Do your employees start the day with a truck that’s ready to go? Do they spend idle time fueling their vehicle? Add the cost of the driver, the truck, and the fueling time to your fuel costs, and you’re simply paying too much. Mobilized Fuels provides your organization with a competitive advantage by reducing operational expenses, improving driver productivity, and lowering administrative costs. Mobilized Fuels delivers fuel to fleets, truck to truck (wet-hosing) or with a bulk drop to a tank. Serving Metro Atlanta and the surrounding area, we refuel vehicles, tanks, equipment, generators, and construction sites – anything you have that needs fuel. Our on-site fueling service frees your organization from the need of costly tanks and dispensing equipment, saving time and money and avoiding risk. Motor oil and lubricants can be delivered on site, as well, by our sister company SA White Oil Co. which has an 80 plus year history of serving Georgia’s Petroleum / Lubricant needs. Please visit www.SAWHITE.com for more information on their services. Every employee is committed to providing unmatched reliability and service that exceeds expectations, all at a fair and competitive price. 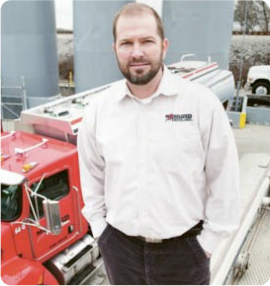 We are eager to meet your specific needs, so we offer flexibility in delivery time and a variety of fuels ranging from ULSD to clean burning biodiesel. Mobilized Fuels helps your organization to operate more efficiently and cost-effectively.